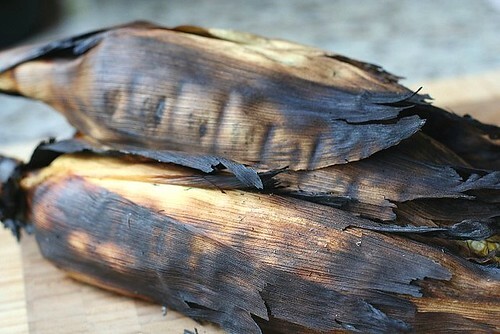 The last in my three part series of barbecue recipes, I end with the most delicious. 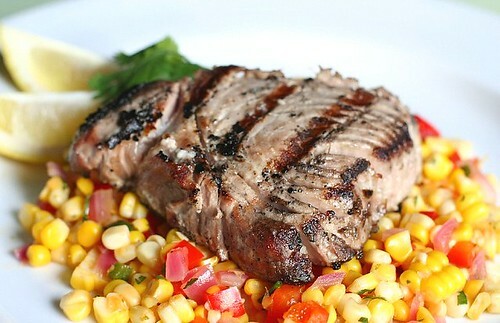 Yellowfin tuna is fairly expensive – I spent about $20 for three steaks (that was the sale price), but oh-so-worth every penny. I got this recipe for Nantucket-style grilled fish off Epicurious and I am hooked (bad pun entirely intended). The recipe couldn’t be more simple while simultaneously off-putting. and slather both sides with mayonnaise. Salt and pepper to taste. Sound repulsive? The ruination of perfectly good fish? Don’t worry – the mayonnaise cooks off and you can’t taste it. It helps keep the fish juicy and creates nice carmelization. Pre-heat grill. 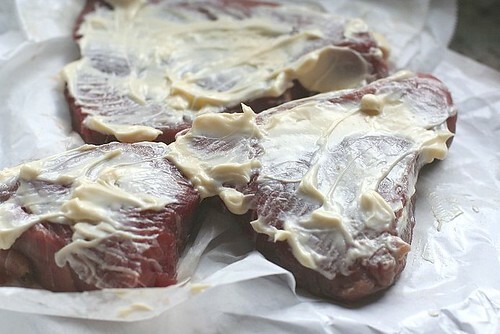 Cover and cook on each side for 3 – 4 minutes, depending on the thickness of your steak. You definitely do not want to over cook! Let stand for few minutes before serving. This is delicious served with just a little lemon. I paired it with fresh corn salad and we all (including the kids) couldn’t get over how good this meal was. Now I make a lot of different salads, and this is one of my favorites. I guarantee you will be the hero at your next BBQ if you bring a big bowl of this fresh corn salad. Just make sure to save some for yourself. I like to cook my corn on the grill. Simply place in grill with husks on and cook covered for about 20 minutes or so, turning to prevent one side from becoming completely charred. 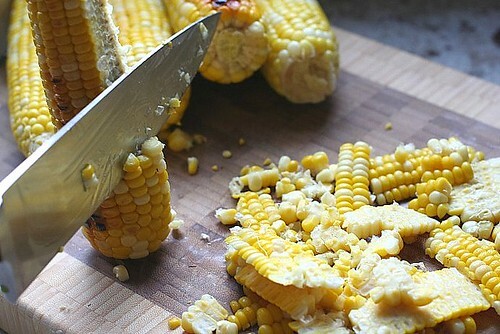 You can also steam the shucked corn if you don’t want to or can’t grill. Heat olive oil in a skillet or wok over medium heat. Add red onion, jalepeño, and red pepper and saute until just softened (about 3 minutes). Add corn kernels and cook for another 3 minutes. Remove from heat. Add vinegar, maple syrup, lime zest and juice. Mix and add more lime juice if needed. Salt and pepper to taste. Top with chives and cilantro. Oh, YUM! Now I’m going to have to go find some fresh tuna once my gnudi is gone…see what you’ve done to me? Hey–I think your blog looks great. Very professional. Your ideas are great too, I’m printing out several recipes. 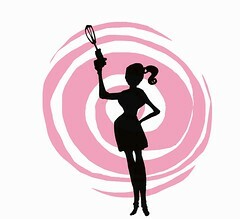 How long have you been doing this> I think I found you through Tastespotting. BTW, the Durum Atta Flour has changed my baking forever. I’m throwing it into everything now. Smothering the fish in mayo… interesting? If you can’t taste it, like you said, I’ll give it a try. 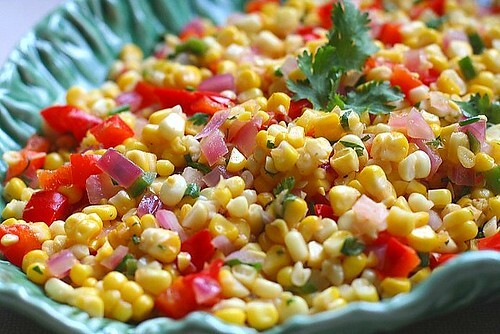 The spicy corn salad looks great! I make a very similar salad too. Wow, how simple. I’m going to try that mayo trick. Ella – I’ve been blogging since March of this year and enjoying it greatly. Isn’t the durum atta flour great? Thanks for your kind words! that slathered mayo pic looks revolting, but i’m definitely going to try it. 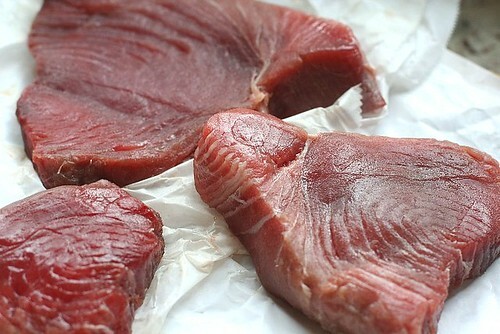 I’ve always had trouble with keeping steak cuts of fish moist… where did you come up with this idea? I’ll have to remember this technique! I just started marinating 2 tuna steaks in Italian salad dressing out of habit & then noticed your recipe when I searched for something a little more creative for next time.